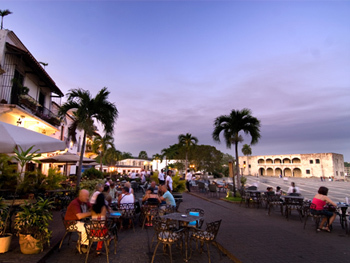 Santo Domingo, the capital of the Dominican Republic, is the oldest Hispanic city in the Caribbean, dating back to Christopher Columbus, full of historical and cultural interest. This is a wonderful location in which to study Spanish abroad. While you study Spanish on a program at our Spanish language school, you can visit the many museums, theatres, and galleries in Santo Domingo, as well as experience the night life for which Santo Domingo is so famous. Also, one of the most beautiful beaches in the world – Boca Chica – is just 30 minutes’ drive way. The Dominican Republic is a beautiful, tropical island with beaches, reefs, mountains and rain forests. 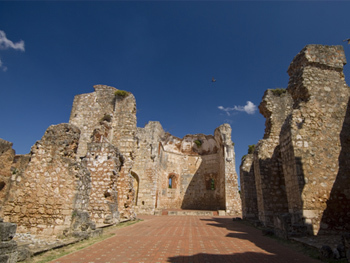 Santo Domingo is the ideal location from which to explore the island. 20% off in Santo Domingo! 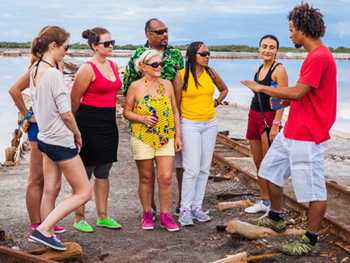 Save 20% on the cost of all Spanish courses in Santo Domingo. Discount can also be applied to host family or shared apartment accommodation! 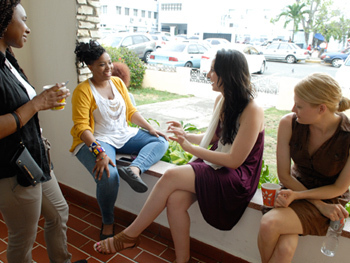 Our language school in Santo Domingo is located close to the university, making it easier for international students at our school to meet local students and practice the Spanish they learn at our school. The school has a cafeteria, gardens and a sun terrace, all perfect places for post-lesson relaxation! Students at the school learn Spanish in classes with a maximum of just 7 students per class, providing lots of personal attention to each and every student. You can learn Spanish on a ‘Standard’ Spanish course of 20 lessons/week, or on an ‘Intensive’ Spanish course of 30 lessons/week. 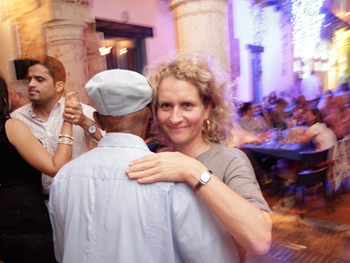 For lovers of Merengue, Salsa or Bachata, there is a ‘Spanish and Dancing’ course at our Santo Domingo school, offering 20 Spanish language lessons and 6 to 8 dance lessons per week. 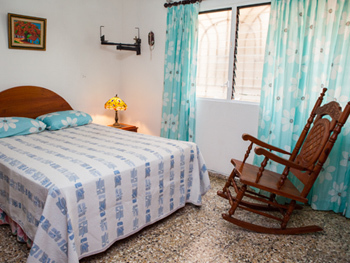 Our school arranges accommodation in carefully selected Spanish-speaking host families, giving you the chance to experience Dominican culture at first hand. Alternatively, you can stay in shared apartments just a 2 minute walk away from the school, either in apart-hotels or hotels. Students who study Spanish at our international school in Santo Domingo can participate in an activity program arranged by our Spanish school, including visits to museums and other places of interest, meals in traditional restaurants, beach trips and dance lessons. The best way to get to our school is to fly to Las Americas Santo Domingo International Airport (SDQ). Transfers from the airport directly to your accommodation can be arranged at a reasonable price. Average score for our school in Santo Domingo based on 14 previous client reviews. I loved it! The atmosphere at the school was very pleasant! My accommodation was very good! I have had incredible hosts! I will be back! I like the small size of my beginning Spanish class. Sr. Jonathan Soto, our teacher, was very good; he utilized different teaching methods and conveyed the materials. He emphasized conversation which what we need. Please keep up the good work. Hotel San Marco is a very pleasant place to stay. The staff is very friendly. Breakfast is yummy. It is a good walking distance from the school (about 5 minutes). The course was excellent, with small classes and a very effective grammar/conversation split. Very good! The accommodation was amazing -- we stayed with a family 15 minutes away from the school who were nice, charming and always willing to help. Most pleasant atmosphere and very willing and knowledgable staff, most important for us as students was the flexibility offered to allow a very structured course to be adapted by us to suit our abiliities and differences. I stayed with Sabina Fernandez in the Colonial district of Santo Domingo and was treated like a long lost son. She was very accommodating, always friendly and happy to entertain fellow students with a hospitality that went beyond the call of duty. The course was demanding but great. I really enjoyed the small group (only 2-3 students) and my teacher Gisselle was a very professional but also funny and entertaining teacher. I would also like to add that the atmosphere in the school and provided by the staff members was amazing. There were lots of laughs and fun and I always felt welcome and happy to be there. I lived in the student accomodation. My room was basic but fine, no complaints here. 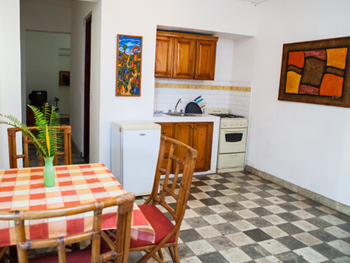 The appartment was pretty large and generous, the kitchen was equipped well for dominican standards. I had a great time. I truly enjoyed every minute of my course. 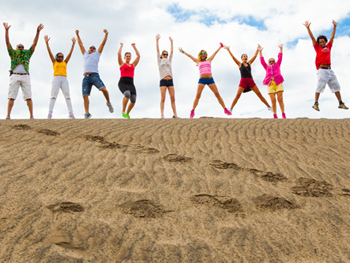 The course is great if you are interested in improving your conversational spanish. The teachers are great at individualing the course to your needs. 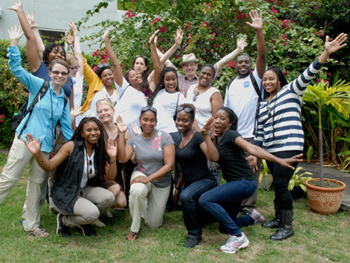 The staff in Santo Domingo are great and I would for sure go back to this location. I learned a lot of spanish and about the culture! The language course was beneficial and fun. We focused more on conversational Spanish rather than grammar. Our teacher even added some hands on activities such as playing games and going to places like to the supermarket, the salon, the hospital and the university which only enhanced our learning experiences. We stayed in the school's apartment for 2 weeks. It was beautiful, spacious and close to the school. I would recommend it. Our last 2 weeks we stayed at a hotel Plaza del Sol. The hotel was nice and the staff even better! I enjoyed the language course, and found the Dominican people very friendly and ready to help a Spanish language student practice Spanish. 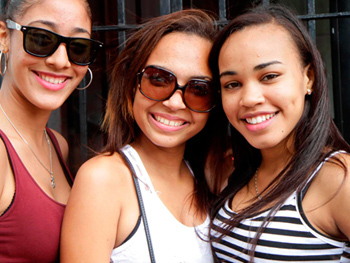 I stayed with a host family, and found I was more immersed in the culture of the Dominican Republic that way. The accommodation was clean, the room large, meals good, and the family very friendly.